Cross-country road trips are the kind of adventures that people like to dream about but rarely get the chance to experience. But during the summer of my sophomore year of college, I got the chance to live that dream. My fiance’s family planned on driving to West Virginia and they asked me to join them. They planned the trip so they could return some antique blacksmithing tools to their relatives but also to have fun along the way. Since going in a straight line wouldn’t be as fun, we decided to go in a circle around the country. We started by heading west into South Dakota and Wisconsin, then south to West Virginia and Tennessee, then through the Deep South before coming back home through New Mexico and Utah. It was a great experience for me; I got to see national parks and tourist traps while also spending time with my fiance and his family. When I first started writing (not counting the time I tried to make a book review blog and it failed), I wanted to create a blog where I could write about my travels and people would know how my trip was going. Though, since I was a poor college kid, there weren’t many long vacations. But, this trip gave me a chance to get back into travel writing. As a blogger, I struggle with posting regularly and coming up with creative ideas for posts. However, when I was on the road, there was plenty of free time to write, especially since I was a passenger. So I decided to set a goal for my posting schedule: post every day unless we didn’t have Wi-Fi. As a result, I was able to document my trip and have something to look back on in the future. 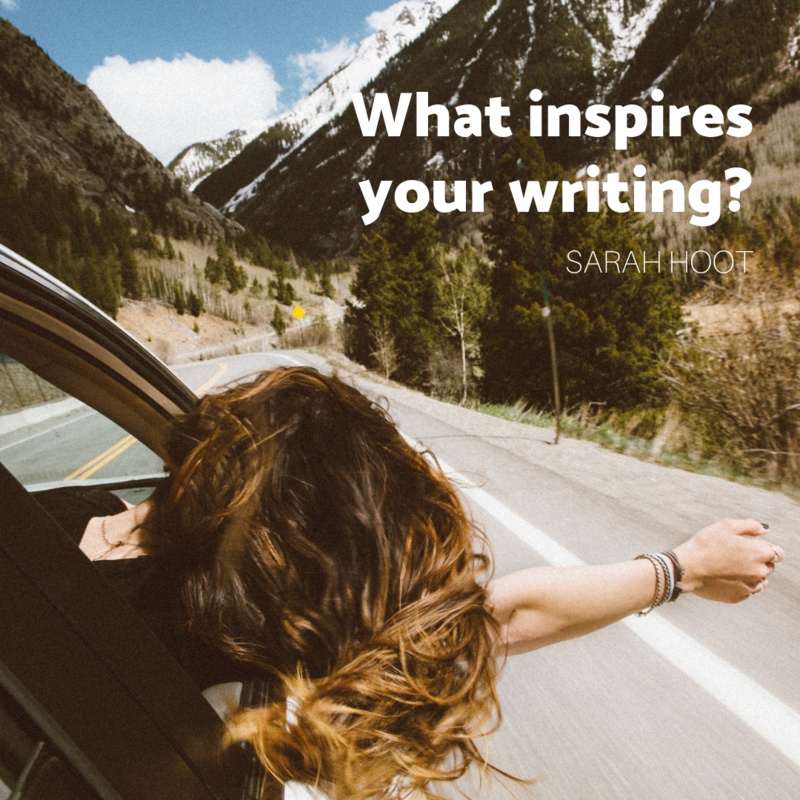 Here is some advice on how to use your road trips to add to your writing inspiration. On my trip, we went to places like the Grand Canyon and the Badlands. They were both amazing sites to see and experience, especially for someone who has never been there. When we went to the Grand Canyon I couldn’t believe how beautiful it was. When you’re writing about your travels, describing how you felt when you first saw your destination adds a lot of flavor to your writing. You can also paint a picture with your words and set the scene of how the place smelled or what it sounded like to draw in your readers. While we were in Texas we went to a restaurant called The Big Texan where you could take the 72-ounce steak challenge. I did not participate (because I wanted to continue my life on Earth), but we did watch some poor soul attempt it. I’m still not sure if he won or not. Stories like this can only happen if you take the time to stop at more than rest stops and eat at more than McDonald’s. Every person’s trip itinerary is a little different; some people like to do a lot of shopping, and some like to spend more time outside. While you are on your trip, do as much as you can and write it all down. Explore some of the small towns along the way, find hole-in-the-wall restaurants to eat at, or take a walk to find the best views. You never know what you will find, and all those adventures could lead to some great stories. Road trips are made up of playlists, podcasts, conversations, and games. A playlist can make or break your trip; you need songs you can really jam to with no bummers to bring down the mood. Describe your playlist and how you picked it out. Did you choose songs to play for everyone or just you? What genres of music do you like? Were there any songs that came on at just the right moment? If you aren’t the one driving, you have to stay occupied during long hours on the road. Bring a few books that you want to read or play some games with the other passengers (or even the driver). I downloaded a few good road-trip books on my Kindle, and my fiance and I played some Magic the Gathering. Though, while it was fun to play, I would recommend playing a more travel-safe game. The whole trip was an amazing experience for all of us and because I wrote everything down. I can relive the trip for years to come. Travel writing doesn’t mean that you have to fly somewhere exotic or even be gone for a long time. Grab a friend or two and take a drive to the next town over or go camping somewhere out of the way — a simple trip can be just as fun. You can find lots of writing opportunities and inspiration in your everyday life, but stepping out of your comfort zone and doing something different can offer a lot more. That being said, remember to live in the moment; you can write your posts at any time if you take good notes or even pictures, but you won’t get to relive your journey. Spend time with your friends, enjoy the scenery, and eat the food — vacations are meant to be enjoyed and shouldn’t feel like work. Happy travels everyone! I’d love to hear about your travel writing experiences and how it enhances your writing inspiration. Sarah Hoot is a freelance writer and adventurer at heart. When she is not writing she is working as a bookseller in a local bookstore. She loves playing video games, knitting and playing with her dog Angus McDonald. You can find her on Twitter as @SarahHoot3 or on Facebook as Ordinary Adventures of Sarah Hoot.